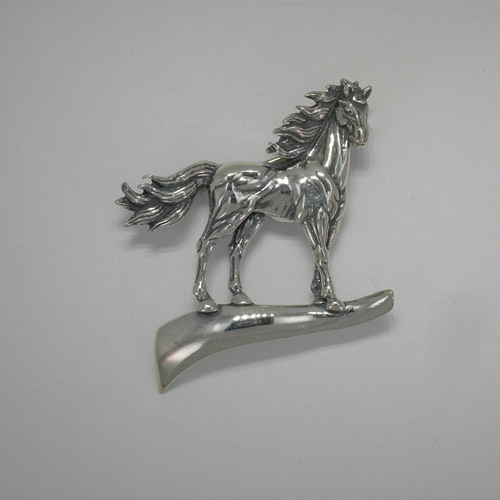 Desc: Sterling Silver horse on hill brooch. The magnificent horse is standing with the wind blowing his mane and tail. The horse is standing on a hill overlooking his herd. The brooch has antiquing and bright polish finish. Made in the United States of America. 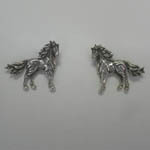 We have matching earrings, see SK909.